The US, UK, France and Australia will run a war games drill in the Persian Gulf that will simulate a confrontation with Iran. 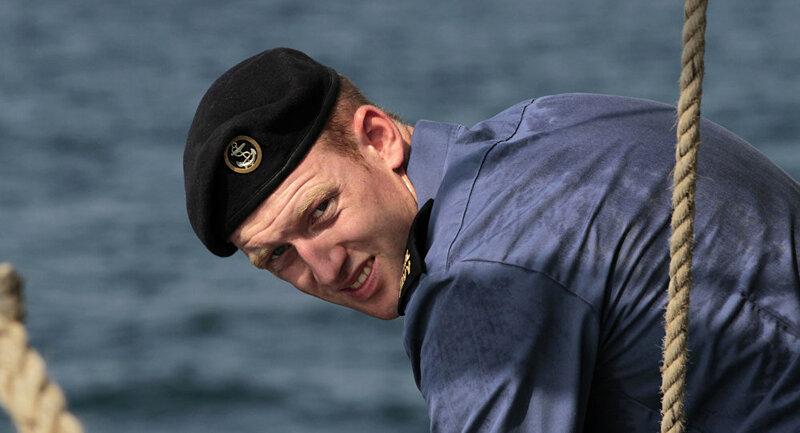 In this picture taken Friday, Sept. 21, 2012, an unidentified British sailor works aboard the British Royal Navy's HMS Atherstone in the Persian Gulf. More than 30 nations are participating in an exercise responding to simulated sea-mine attacks in international waters _ a demonstration of international resolve to ensure maritime security in the strategic but volatile region. * * * The British Navy will lead the show of force, called exercise Unified Trident, which will involve the British Royal Navy flagship HMS Ocean and Type 45 destroyer HMS Daring, the US warships USS Hopper and USS Mahan, French anti-aircraft frigate FS Forbin, and Australian forces. It will be held off the coast of Bahrain from January 31 to February 2. All the task forces of the US Naval Forces Central Command [NAVCENT] headquartered in Bahrain will be involved in the exercise, including, "surface, strike, mine countermeasure, maritime patrol assets along with UK, French and Australian naval forces in the Arabian Gulf," according to News Blaze, citing the US Fifth Fleet spokesman. "The exercise is intended to enhance mutual capabilities, improve tactical proficiency and strengthen partnerships in ensuring the free flow of commerce and freedom of navigation," a US Navy press release said. It is expected that the HMS Daring, the HMS Ocean, and US and French warships will simulate destroying Iranian combat jets, ships and coastal missile launching facilities during the exercise. The exercise, which has apparently been planned for some time, comes after a string of brief encounters between US warships in the Gulf and Iranian ships. There were 35 such incidents in the first half of 2016, according to the Pentagon, and earlier in January the USS Mahan fired flares and a warning shots on four Iranian Revolutionary Guard Corps attack boats as they approached the US Navy ship at high speed and didn't respond to orders to slow down. But it also comes in the days after the implementation of US President Donald Trump's executive order banning refugee arrivals in the US and stopping Muslim citizens of seven countries including Iran from entering the United States. Many Iranians study in the US or are legal residents of the nation. A ban that may Iranian citizens with legal US visas from returning to their country of residence is sure to exacerbate tensions. Trump's attacks on the landmark 2015 nuclear deal signed with Iran and his threats to tear it up have also not endeared him to Iran's leadership. Admiral Lord West, former head of the UK Navy, called the timing of the drill "worrying," Middle East Eye reports. "There is no doubt that tensions are rising and that loose talk by President Trump is escalating the situation," he said.